A couple of years back, I added to new tradition to our the Holiday Season…..DIY gifts! I am not sure why I felt like I needed to add more projects to my never ending list of to-do’s, but I really enjoy making cool gifts and Christmas decorations. I made a couple changes to the link above. 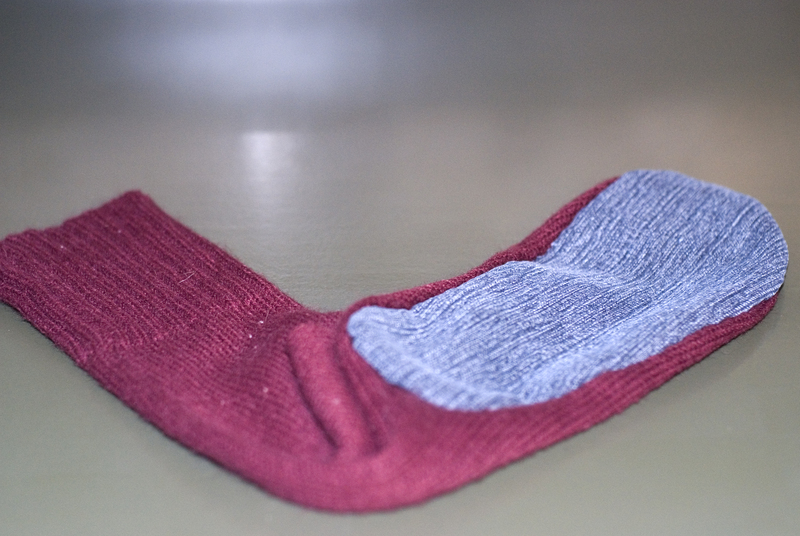 I found that using the same sweater material on the bottom was really slippery, so I used denim for the sole. It is durable and gives a nice contrast to the color. Using the sweater arms, bring them up your leg to determine the length of your sweater boots. 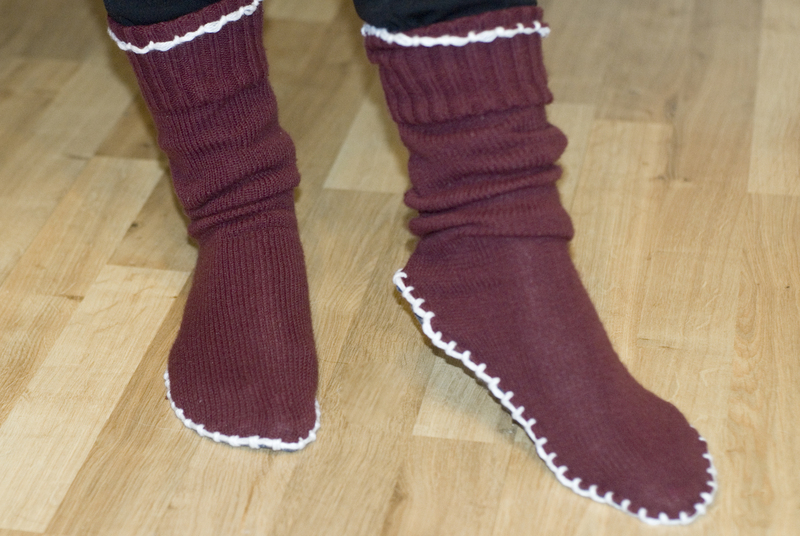 Cut the bottom of the sweater arm to resemble the bottom of your foot. Then using the white pencil crayon, trace out your foot (leaving about a 1/2inch extra) onto the denim. 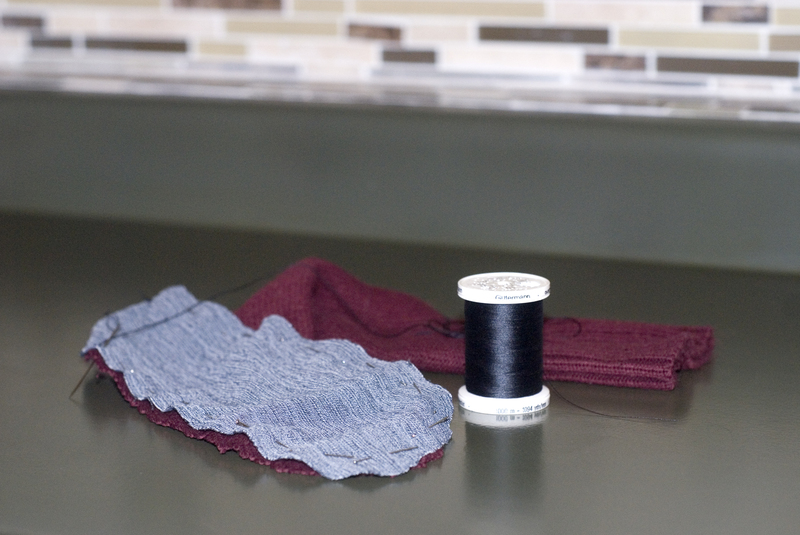 Cut out the sole out of the denim and using the pins, attach the two together, pulling the sweater to reach the edges of the denim. 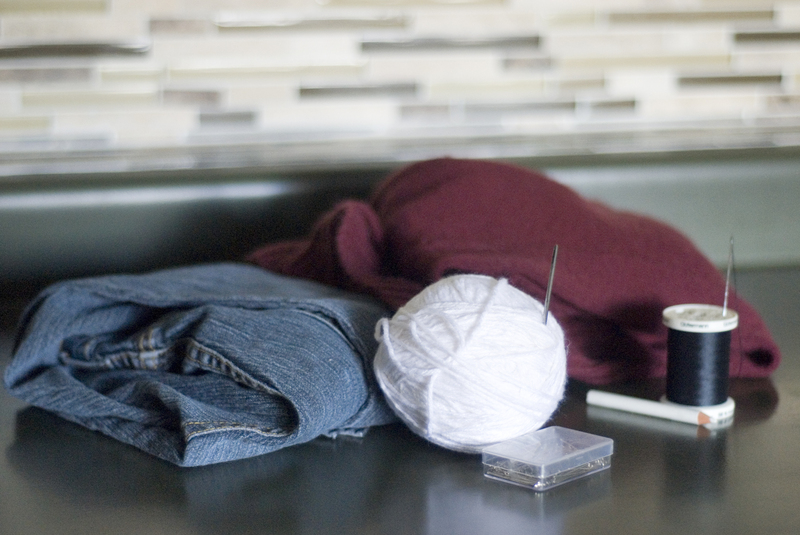 Don’t forget to turn your sweater arm inside out and use the inside piece of the denim. Using the black thread, sew the sole to the slipper and flip right side out so that the sew line is inside the boot. I know what you are thinking, WOW that is cute! But wait, it gets better! 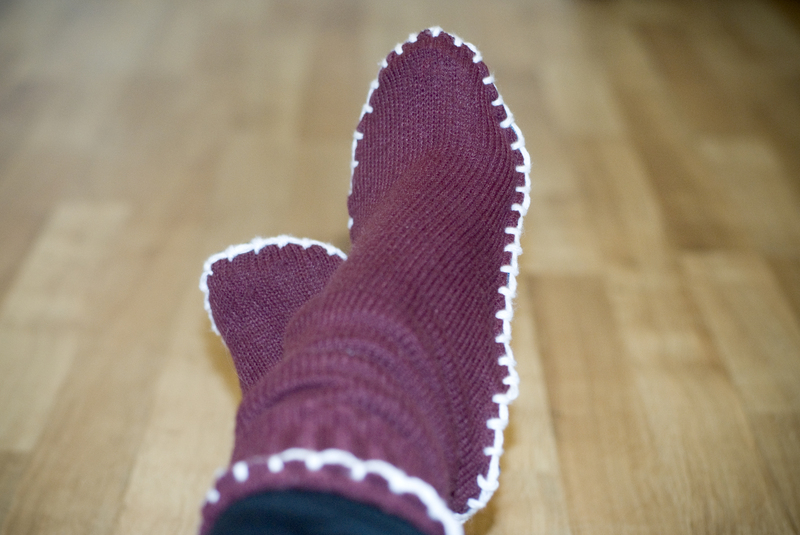 Using a blanket stitch and any colored yarn, go around the edges and top of the boot. Tah Dah!!!! DIY Sweater Boots made from an old sweater and pair of jeans. Machine washable and non slippery. I think the next pair, I will add some buttons on the feet, or a tassel around the ankle. These boots make me want to make some hot chocolate and curl up with a good book! Perfect for those ugly Christmas sweaters. These are not even warm enough for our winters here. I think next time I will put a layer of felt inside them!